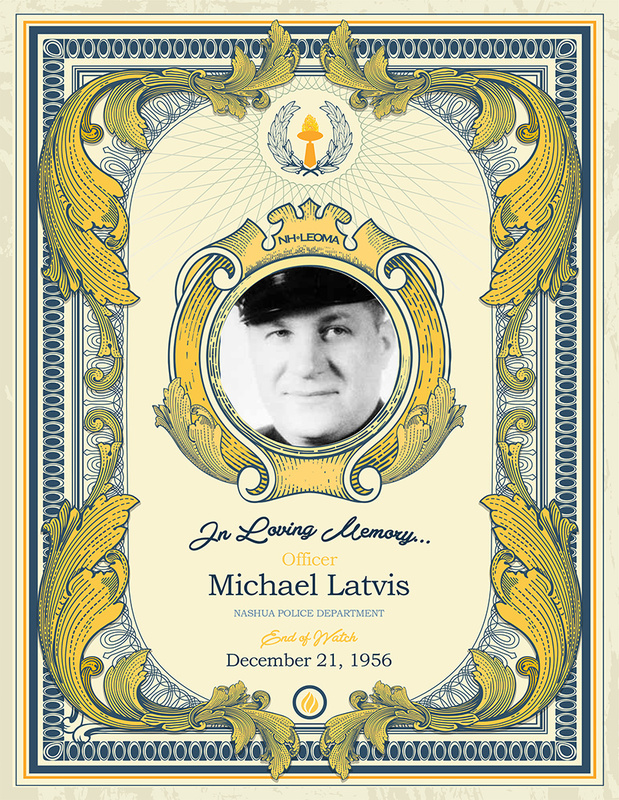 Officer Latvis was born on January 24, 1918. A native and life-long resident, he joined the Nashua Police Department and was a four-year veteran. On December 21, 1956, Officer Latvis was riding in an ambulance that was responding to the call of an injured woman. When the ambulance approached the intersection of West Pearl and Chestnut Streets, it was struck by another vehicle. The ambulance spun around and crashed into a utility pole. Officer Latvis was ejected from the front seat of the ambulance and suffered a fractured skull and died from his injuries the next day. He was 38 years old. Officer Latvis is survived by his wife, Myrtle, and their two sons; Michael and David.